Using hotel WiFi can be very risky and even dangerous unless you take some steps to be safe. Know the risks before using hotel WiFi. Many of us can’t stand to be “disconnected” from the Internet – whether it’s our business email or social media – for minutes, let alone hours or days. So, it’s no surprise that a recent survey by Research+Data Insights found that 7 out of 10 travelers consider a hotel’s WiFi more important than its location. But is hotel WiFi safe? To put it bluntly: No, not at all. And that goes for almost any public WiFi connection, whether it’s at a coffee shop or an airport. While most hotels do provide WiFi, they have little incentive to keep these connections safe. At best, their networks will require login details that you’re assigned when you check in – or at least a password. But some hotels don’t even do that. You could have your privacy invaded, accounts hacked, and even your identity stolen. The sophisticated hacking group DarkHotel has been making a business of this for years, targeting high-profile business people and even political figures. But the scary part is, it doesn’t require l33t skillz to hack an unsecured wireless network. Find out more information on the most common types of hacks (also here). Of course, most people already know the dangers of hotel WiFi. A Xirrus survey found that 91% of WiFi users know public WiFi isn’t secure – but 89% still use it. 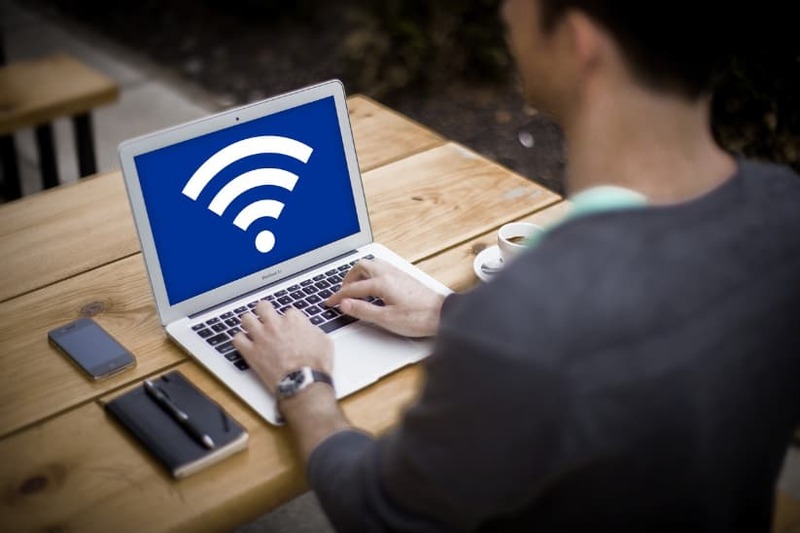 The most effective – and in fact, one of the easiest – ways to stay safe while using public WiFi is with a VPN, or virtual private network. In short, a VPN creates a sort of tunnel between your device and the VPN’s server. Your data is encrypted as it travels along this tunnel, making it much harder to read, intercept, or infiltrate. It basically acts as a middleman between you and the Internet, protecting your data and privacy in the process. That’s on top of the data encryption, malware protection, and enhanced privacy. While we think all Internet users should use a VPN, it’s an absolute necessity if you travel or otherwise use public WiFi frequently.